How do you get from the airport to downtown? Where do you catch the ferry to Victoria? How do you take the bus from YVR to the Ferry Terminal? Detailed information on the Vancouver International Airport, how to get to and around the arrivals and departures levels. This International Airport is one of the most beautiful in the world, adding to your great trip. Best way to travel from the Vancouver Airport and around Vancouver is the Skytrain. This train travels from the airport to Downtown Vancouver with many routes to other areas of Vancouver. Clean, safe and fast public transportation. Travelers arriving at YVR needing transportation to their next destination, we have list the different Transportation at Vancouver Airport and the airport to Downtown Vancouver, Victoria, Whistler and Seattle. 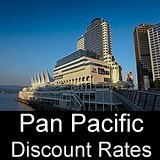 We have information on over 20 diffferent attractions and activities to do whether you are a visitor or live in Vancouver. Spring, summer, fall or winter there is always something great to see and do in Vancouver. Want to ski at the best mountain area in Canada, then Whister and Blackcomb Mountain is your destination, you won't be disappointed. Go to whistler to ski or just to enjoy the beauty of the mountains and the wilderness. Travel to Vancouver Island by car or public transportation by taking a BC ferry. This transportation moves thousands of people every day to Vancouver Island, with the newly updated ferries your trip is even more enjoyable. Our site is packed with the most up-to-date info on travel and vacations in Vancouver. There’s tips on arriving in Vancouver, airport transfers and getting around on public transit. You'll discover where the hotel district is and the best places to stay, plus insider tips on unique things to do and places to eat. With visitors worldwide needing transportation and accommodation, the demand is greater than ever for a simple and effective guide for Vancouver, BC Canada travel. We've researched, explored and collected the best and most in-demand Vancouver's travel tips and arranged them all here online. Let’s help you get around and explore this great city! We have lived, traveled and experienced many things all over Vancouver for over 26 years, and we want to share our Vancouver travelling tips with you to make your time here more affordable and enjoyable. 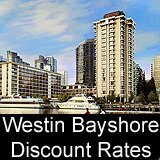 Planning to visit Vancouver we can help with Airline, Ferry, Skytrain and Bus Tips, Plus Hotels and Sightseeing for Vancouver, Whistler, Vancouver Island and Seattle. We're adding new places to See and Stay in Vancouver all the time, stay up-to-date with our Vancouver Travel Blog.